As many of you know, our sister sight RSBFS.com, is the place to go to find some of the trickest 2-stroke race bikes. Many of the contributors are so knowledgeable about racing smokers that it is encyclopedic. 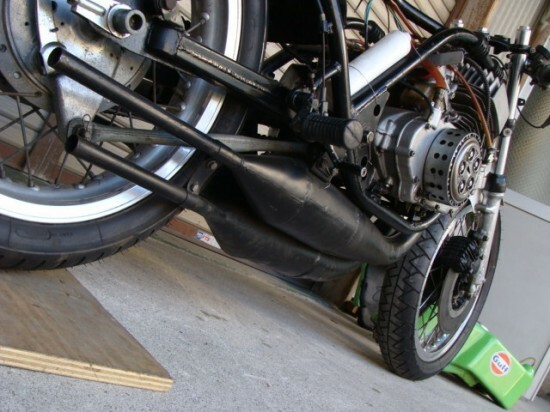 This is a case in which I had their book, because this 1971 Kawasaki track bike deserves a better description I did find that the set of three carbs are unique to the H1R and should have 34 Mikuni’s bored to 35mm with Magnesium drain plugs. Hare to tell from the picture if this H1R has that unique weight savings. 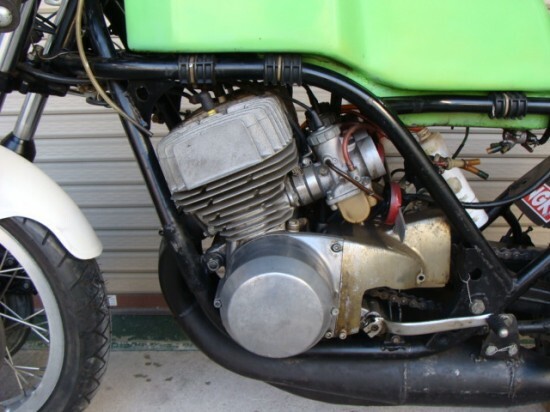 1971 Kawasaki H1R Bike stored past 10yaers. has some compression. Does not has frame no. Just “made in japan” can find on stem head. Engine no. is “H1R 09939” But I think somebody just stamp. 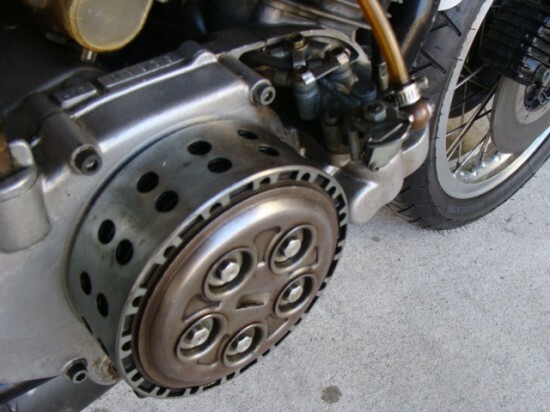 Cylinder head & rear hub are regular H1. Seat and faring are H2R. more detail photos available up on request. This is racing bike so does not have title. Will help world wide shipping by buyers cost. I guess US$1,500- from Japan to CA USA for shipping , crate and Japanese side custom fee. I will charge 5% sales tax for buyer in Japan. The seller’s second language may be English and this could explain the limited information given, or they could have very little knowledge as well. 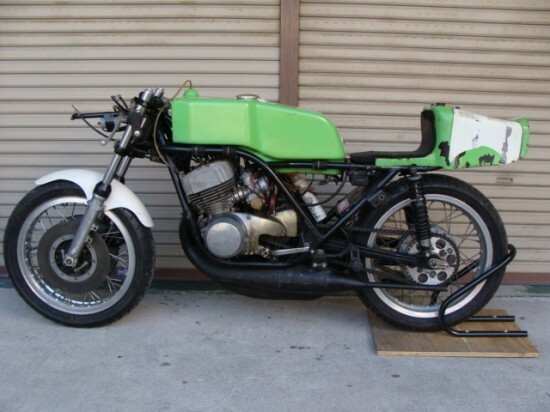 What a little research found is that the H1R was the factory effort for 500cc Grand Prix racing and was developed from the H1 offered to the public. 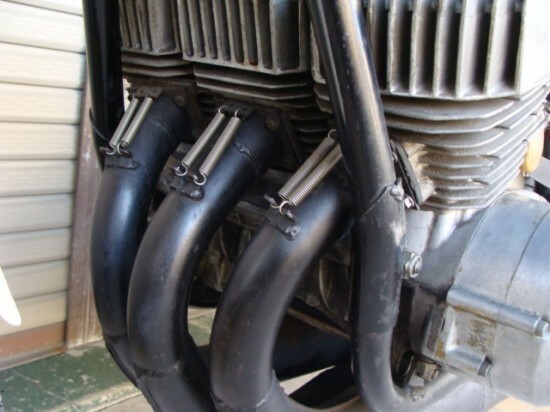 Like 2-strokes of the era, power would come on like a light, and the engine would cease up just as quickly. Not so much win it or wreck it, but bikes of this time were so sensitive to tuning and rpm’s that if you missed a shift, or a cloud drifted over your racing line and dropped the temperature a decimal point of a degree you would either foul the plug, or have full lock on the rear tire because the engine decided it was time to stop spinning. Searching a little longer, I found two places that might help you along on your dream of owning a H1R. If you would want to turn it into a road bike with lights and all, this article might give you a road map to the possible. 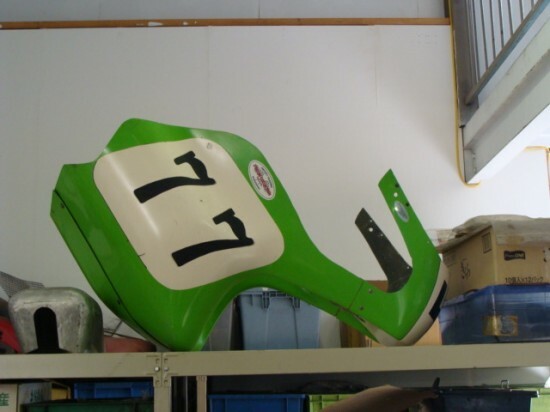 Here is someone else who’s family was in the Kawasaki business and has recovered one of the H1R that were raced out of their shop.